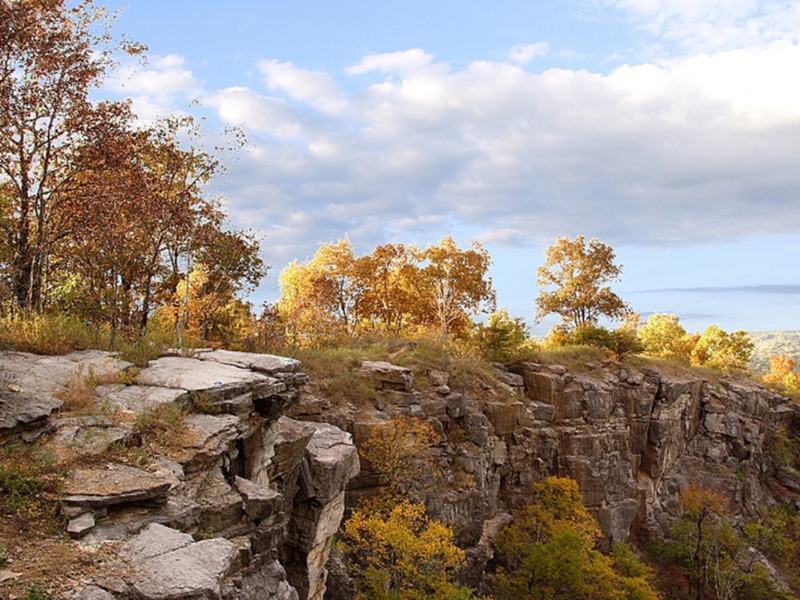 The third largest urban nature preserve in the country offers stunning views of the city, abandoned mines, and a rock quarry, all only minutes from downtown. Ruffner Mountain is another relic of Birmingham’s mining past that has since been turned into a beautiful park. Encompassing 1,036 acres, it is one of the largest urban nature preserves in the country. Sitting atop a ridge overlooking downtown Birmingham and many of its suburban neighborhoods, this park is laced with 12 miles of trails that lead to a variety interesting park features. There are relics of the mining past, a large sheer-walled quarry, several overlooks of the surrounding city, and a LEED Gold-certified building that serves as the park’s visitor center. The trails here are the exclusive domain of hikers and runners. Neither bicycles nor motorized vehicles are allowed on the park trails, so unlike some of the other trail running or hiking destinations in town, this is one place you can lose yourself in the beauty of the trail and not worry about a head-on with an approaching cyclist or car. We like to enjoy the wildflowers and gentle grades of the Trillium Trail before tackling the challenging Ridge and Valley Trail, which will eventually wind you to the defining feature of Ruffner Mountain: the quarry. Once there, either slow your pace and explore the bottom of the quarry, or add mileage by going along the high rim of the quarry along the Possum Loop Trail. By the time you make it back to the visitor center, this full route will give you a challenging 5-mile run or hike. The Overlook Trail is just shy of half a mile one-way, and leads out from the Gray Fox Gap. This is a challenging incline to an overlook above the quarry and continues on to an amazing overlook that allows you to gaze on Birmingham’s beautiful city skyline. 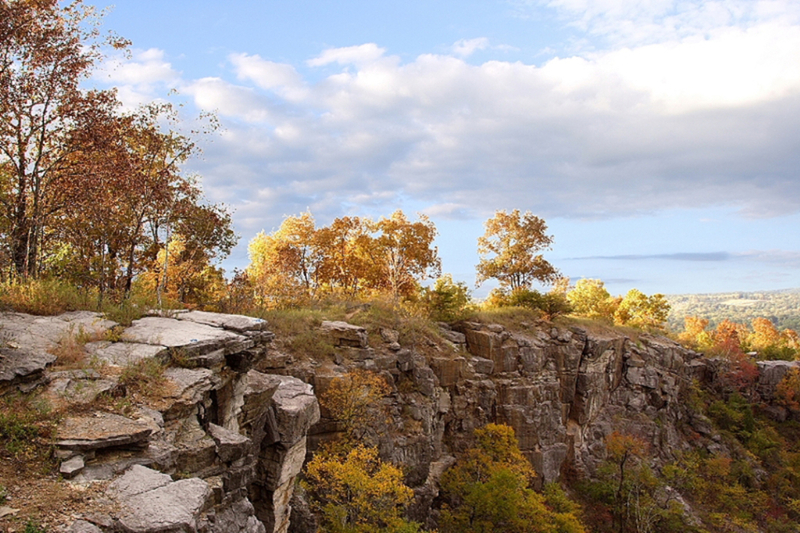 Ruffner Mountain is a haven for hikers with gloriously well-marked trails and endless routes to change up the routine. With incredible scenery, wildlife and surrounding greenery, you’ll have much to look at as you enjoy your hike. Because there is a variety of trails from easy (barely breaking a sweat) to intense inclines that will light your muscles on fire, Ruffner Mountain is a great place for kids, families and expert hikers alike. There is plenty of areas fit for children to explore and have their own adventure. The trails are in great condition and well-maintained to allow better enjoyment. Find your own limits, or challenge yourself to push past them by toughing it out on the harder trails. Don’t be surprised to find old rail beds, foundations from mining buildings or old abandoned mines. Ruffner Mountain Nature Preserve is easy to get to, because it is essentially at the heart of Birmingham’s City Center. From I-59 either North or South, take exit 132 at 1st Ave N. Turn right onto 1st Ave N. Take a right at the first traffic light (at 83rd Street). Take a right onto 4th Ave S. Take a left onto 81st Street S. Got to the top of the hill at the end of the street and begin your hike.